I can also now see what my dogs really do all day. I’ve spent years envisioning the parties my dogs throw while I’m away at work. I can now experience them myself. Let me explain: I use a Furbo. It's a glorious little machine that allows me to watch my pups with a 160-degree camera, a built-in speaker and — perhaps the best part — a mechanism that lets me toss 'em a treat. It works with an app on my phone. I’m going to be honest: I now use it on a regular basis. I'm convinced it's improved my mental health. On a busy train? Check in on the pups. Stressed at work? See what those fur babies are up to. It’s probably just as good for me as it is for them. Another great feature: bark alerts. When my husband and I first moved out of a house and into an apartment, I worried that Desmond, our 8-year-old Yorkshire terrier, would be vocal about his distaste for city life. If only I’d had a Furbo. The treat feature, while not yet the most functional for my pups, is definitely the funniest. 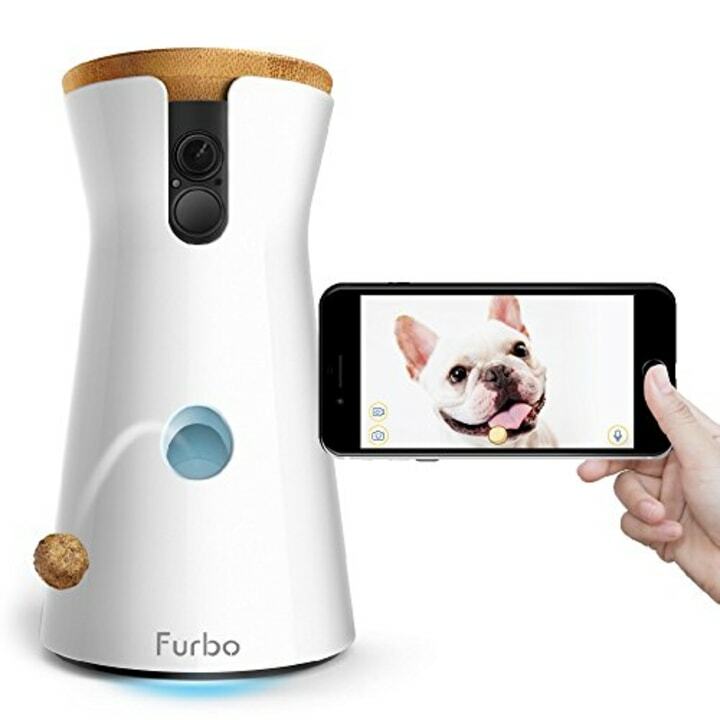 The Furbo comes with directions on how to train your animals so that they respond appropriately to a treat being flung at them from the sky, but I haven’t gotten there. 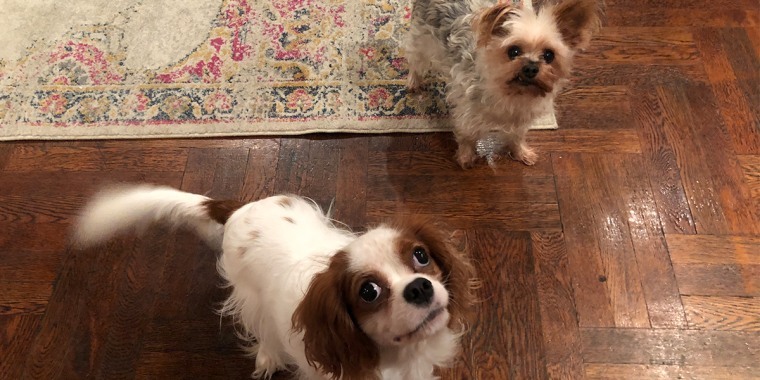 It’s more fun for me to watch Penny, my 3-year-old Cavalier King Charles Spaniel, stumble upon a treats mid-floor as though they’ve fallen from the heavens. While the machine is a splurge, I have been using it every day, so I feel like that makes the cost more justifiable. Another great feature? Night vision. Not that day and night are relevant to my animals — they sleep around the clock. That said, if I want to know what my dogs are doing I can see them even in the night time. The amount of sleep I've observed has left me with a full understanding of how Desmond has aged gracefully into a honey baked ham-esque potbelly. For now, I love Furbo. Do I live in fear that I’ll get a bark alert and check my phone only find the ghost of a former tenant of my building? Sure. But at least I’ll know my dogs aren’t crazy when they tell me about it later. And maybe the ghost likes dog treats.